Can you believe it? It’s been four years since we’ve been in operation. That’s why it’s no surprise our site is due for a massive, massive revamp. While we’re retooling the corporate site, we’re keeping the blog up and running so we can keep you apprised of the latest news and happenings at NTP, and in Singapore’s pop-culture scene. 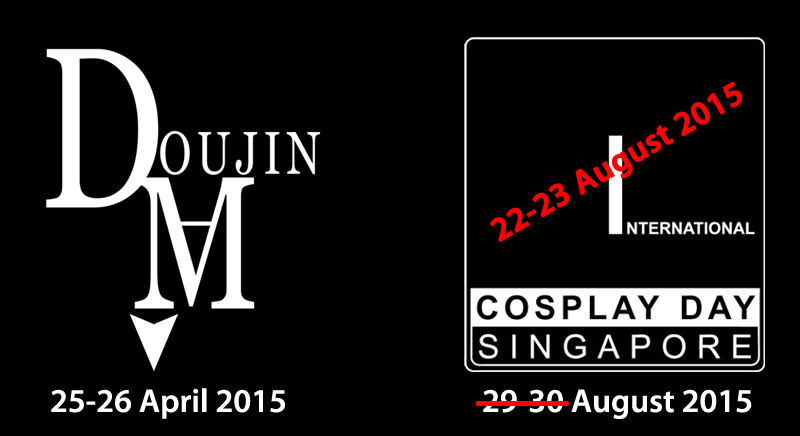 For a start, be sure to block 25-26 April 2015 and 22-23 August 2015 in your pop-culture calendars, folks, because we’ve set those dates in stone for our flagship events. Yep, like the image says. Save the date, folks! We’ll also be launching the alpha test of our very own card game this year, a book about the positive impact of cosplay in Singapore, and more. Watch this space, folks, because our corporate site will return better and more streamlined than ever. In the mean, why not follow us on Facebook?